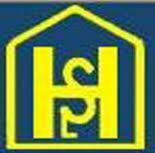 Hindustan Salts Limited is a public sector undertaking company involved in the extraction of Salt from inland regions of the States of Rajasthan. It is incorporated as a public sector company in the year 1958 and it is the only government company engaged in salt production. HSL released an advertisement regarding the vacant positions available in the management cadre. This opportunity can be utilized by aspirants who are academically eligible and having a good years of experience. Individuals who are working in any private sector companies with sound knowledge in their field, but eager to hold a position in well established public sector company this is the time to apply for your chance. HSL invites online application regarding this recruitment in their official website; candidates who are eligible can apply for this manager cadre job by following the instructions stated in the official notification. The above mentioned disciplines possess different qualifications as academic eligibility, these qualifications are MBA in finance or CA/ICWA is eligible for manager in finance and accounts department. For junior level vacancies in finance department B.Com or M.Com is also acceptable. The other post would possess professional education in their relevant field, these qualifications are B.Tech in Chemical Engineering IT or Diploma in IT along with a MBA degree is necessary for several posts. The post among all these vacancies which possess upper age limit is 52 years for General Manager and the minimum age deserving discipline is Junior Manager with 35 years. The age limit of other vacancies is mentioned in the table below. Age relaxation is also benefited to candidates who deserve it. Applicants will be invited for personal interview based on their academic profile, by considering the performance in this interview the final selection will be done. The salary of the employees ranges from Rs.16212/- for the junior level job and the maximum of Rs.50663/- per month for the GM cadre. The monthly emoluments quoted for these vacancies are the gross income which they get including all allowances and benefits. The applications are accepted only by online mode, other form of applications will be disqualified. Log onto the “Apply Online” link below and enter all the particulars which are represented in your educational certificates. After completion of this process verify whether all the given details are correct, and then upload the scanned photo and signature of yours to complete the online application process. In the next page you have to take a printout of your filled in application, then send this along with all necessary certificates and documents to the address "Officer on Special Duty at CMD Secretariat, Hindustan/Sambhar Salts Limited, B-427, Pradhan Malviya Nagar, Jaipur-302017" before the last date.